– Used as a hand towel or handkerchief for wiping your face. – To wrap gifts such as bottles of wine, sake in. – Use as a headband. – Wear like a scarf or bandanna. – Use as a placemat. – Frame it for display. – Wash separately. Dyes from the tenugui may bleed onto other items. 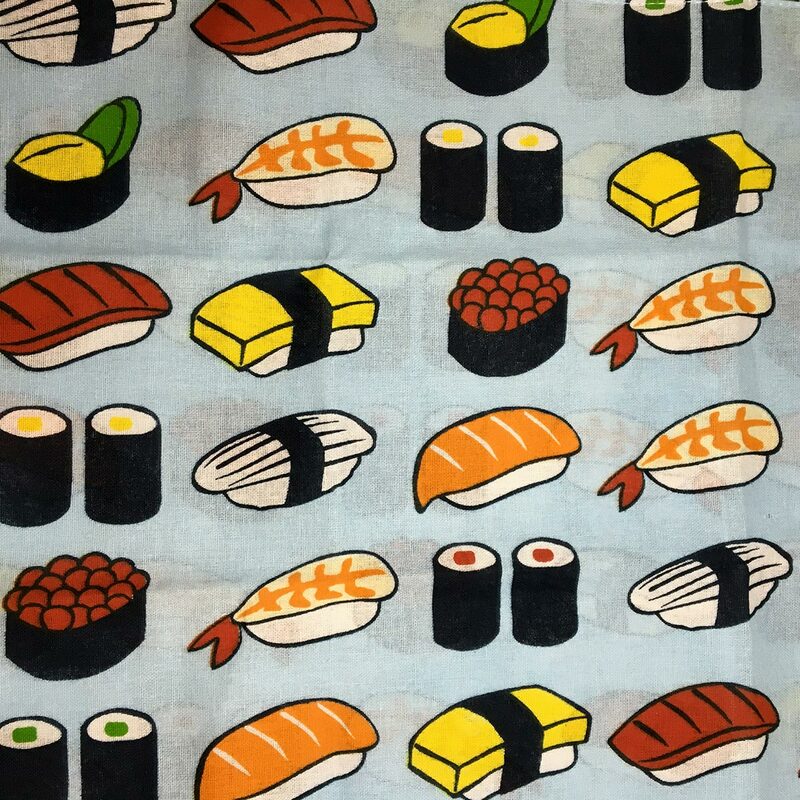 – Do not use chlorine-based detergents or bleach on the tenugui. 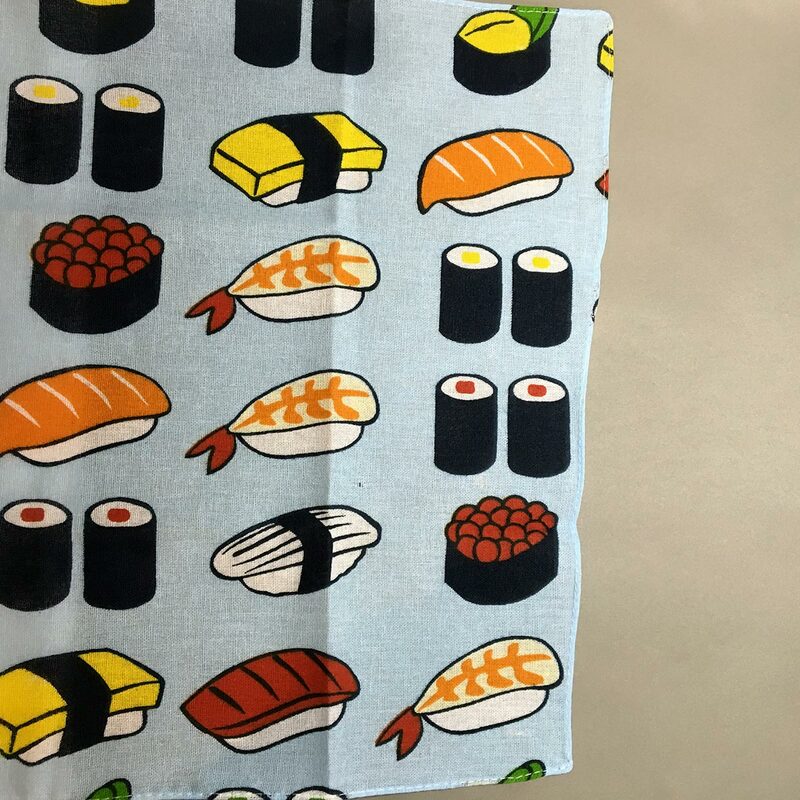 Use ‘neutral’ detergents to wash the tenugui. 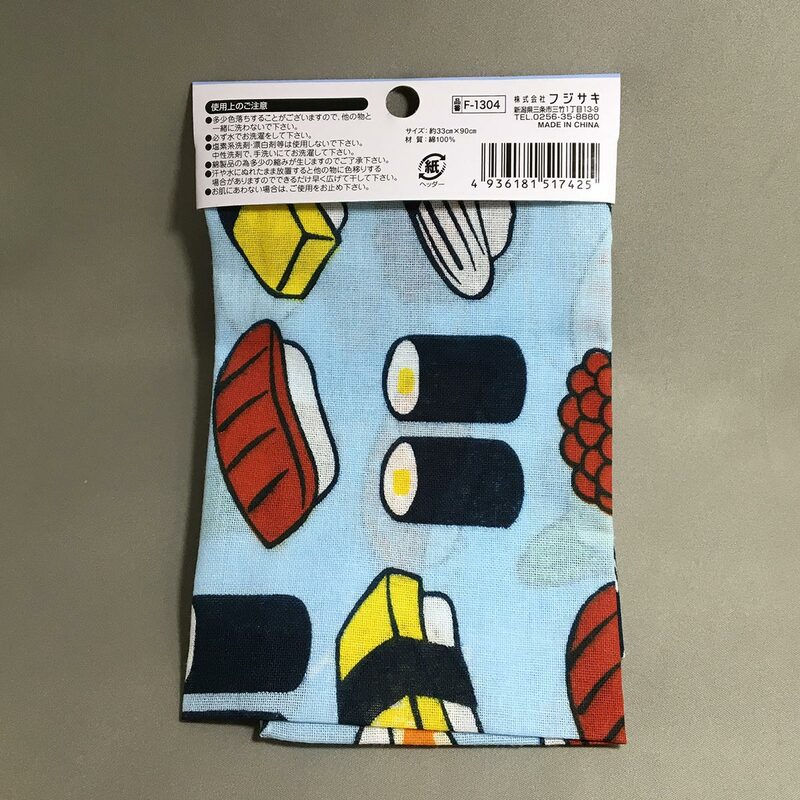 – The cotton tenugui may shrink slightly after washing. – If the tenugui is left wet, the dye may bleed onto other items. Dry as soon as possible. – Do not use if your skin reacts badly to the tenugui. 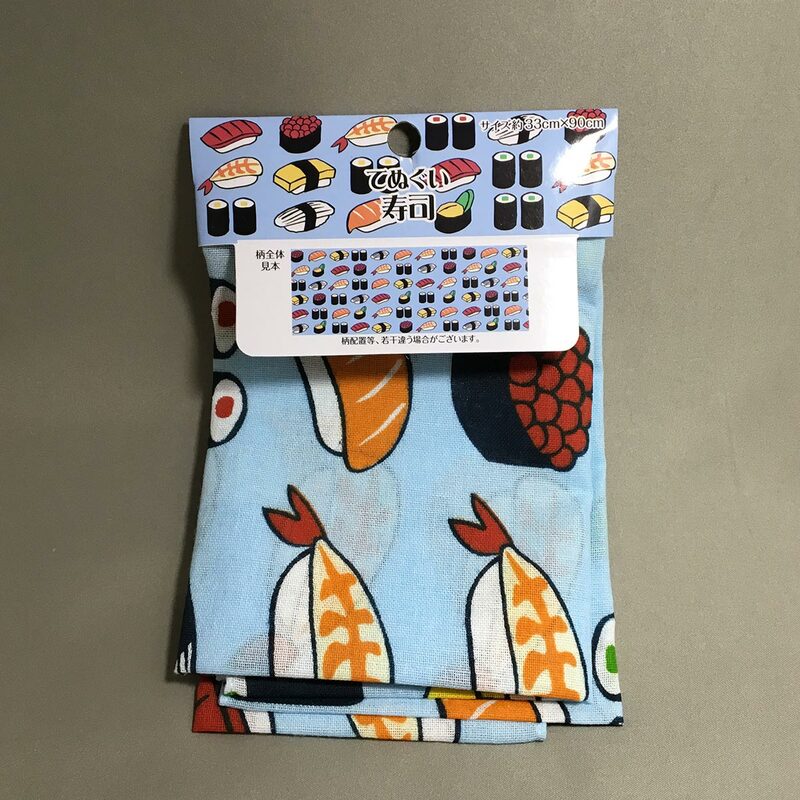 We have tenugui’s around the house, but I usually use it to cover my electronics from dust. In Tokyo, it’s amazing how quickly dust builds up. 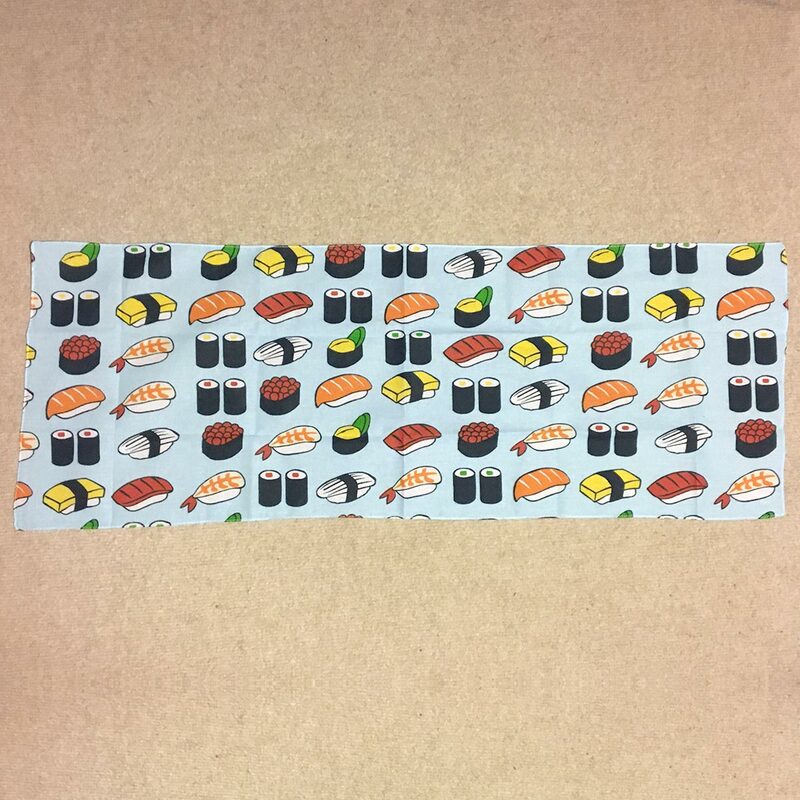 The design is very nice, featuring most of the common types of sushi. Tenuguis are usually about 90 cm x 35 cm, so this is a wee bit narrower than usual. 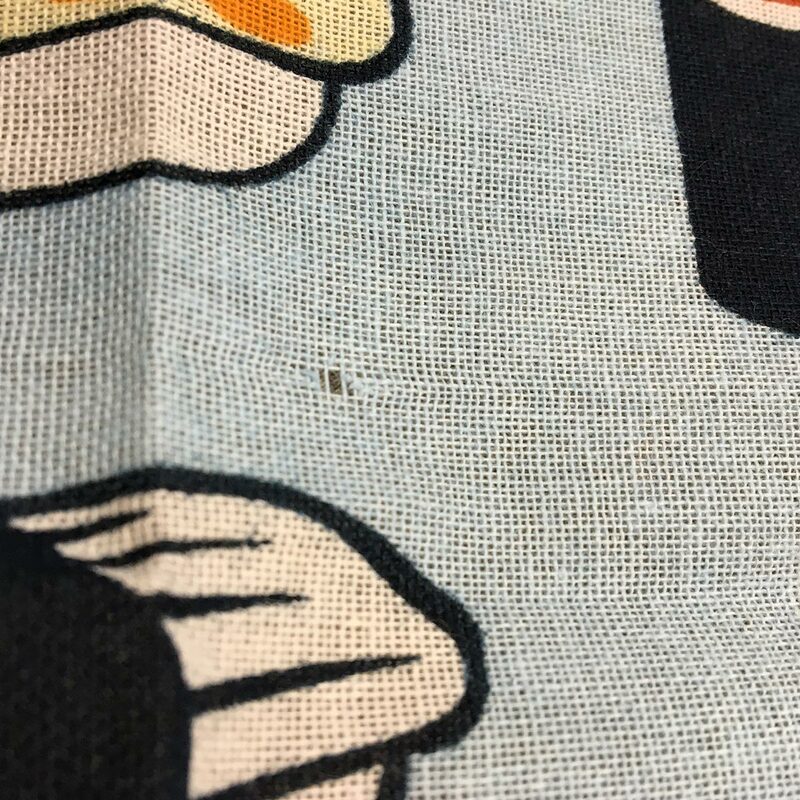 I did find a small hole in the cloth, which isn’t a big issue as it’s very small, but I would have preferred one without a hole. And the ends are unevenly cut, sort of slanted. 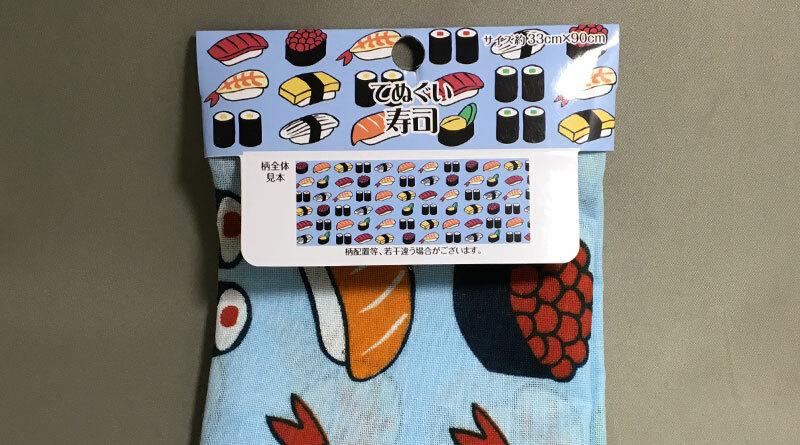 I like the design a lot, and the sushi design makes it a nice souvenir item. It’s a shame that the finish isn’t all that great.